in Post Hospital of measles. 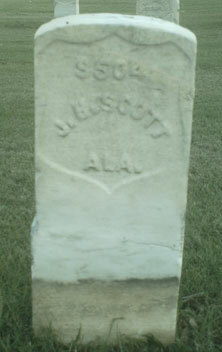 Originally buried in grave #214 at Huntsville Cemetery. Residence shown as Jackson Co., AL.